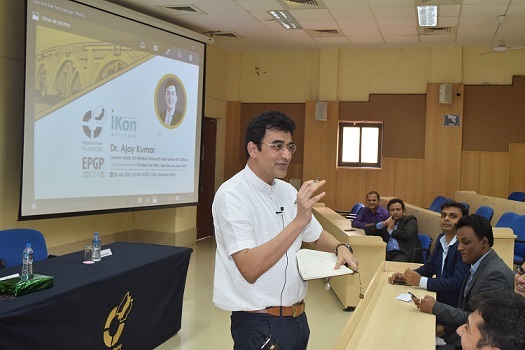 Under the Executive Post Graduate Programme in Management (EPGP) initiative iKON CxO Guest Lecture Series, a talk on ‘The Who? And Why? Questions We Never Ask!’ was held on July 20, 2017. 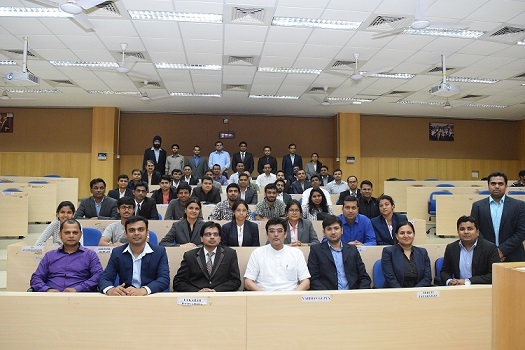 Dr. Ajoy Kumar, Country Head, JSS Medical Research and Former IPS Officer was the speaker for the talk. Professor Ashish Sadh, Chair, EPGP welcomed the guest and appreciated the efforts of the participants in organizing the talk. 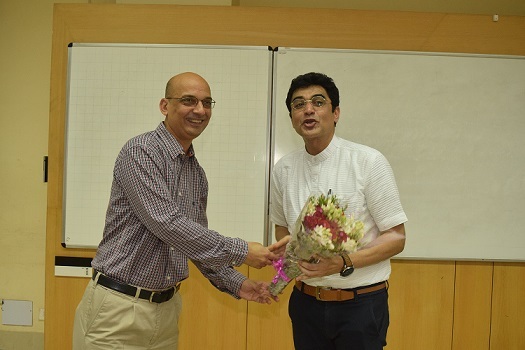 This was followed by an inspiring talk by Dr. Ajoy Kumar who regaled the audience with his experience as an IPS Officer. Dr. Kumar began his talk discussing about the three core competencies of success namely, Financial Discipline, Productive Paranoia and Empirical Creativity. He mentioned how these three factors affect the life of a professional. Discussing about the human personality and emotions, Dr. Kumar then decoded the five chemicals that drive the emotions—endorphins, dopamine, oxytocin, serotonin and cortisone. Discussing about being curious and having a will to know and learn, Dr. Kumar said, ‘You need to find the ‘why’ behind everything. Unless you know your own ‘why’, you will keep working in mediocrity’. He also mentioned about effective leadership and noted that it’s a leader’s job to ensure that his team is safe and comfortable. ‘Keep making mistakes—it’s a part of innovation and growth. But also learn to learn from your mistakes’, Dr. Kumar concluded.